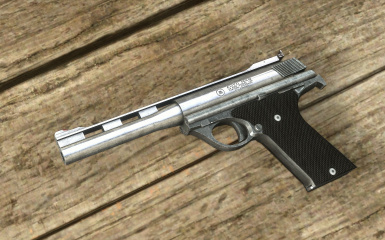 In commemoration of the 100th anniversary of AUTOMAG release, it is a gun sold in 2071 with the original marking. 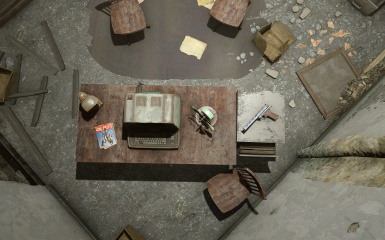 Many improvements have been added to that gun, so it will no longer malfunction. 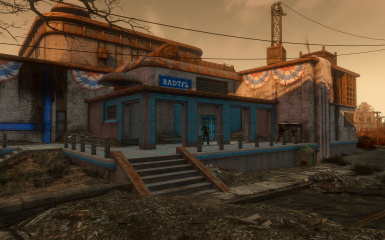 This data will be permitted to use only to make a item of current Fallout4. 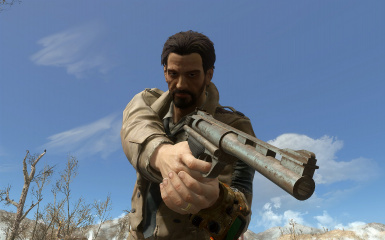 If you get a sequel of fallout4, to release the limited use of fallout4. If If you want to have commercial use please contact me. Do not faking "This data has made me." I do not stay throw away the copyright of this data. It is more than the current should be noted. Added two kinds of engraving. 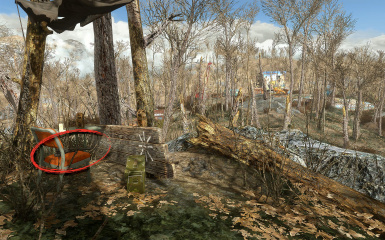 There is also a High-Rez texture version. Suppressor and Recon scope added. 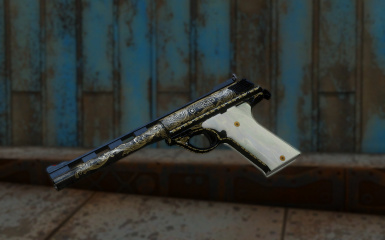 Fix - Magazine mod not available to change. 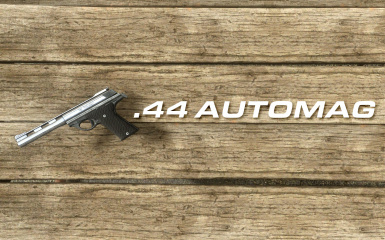 In commemoration of the 100th anniversary of AUTOMAG release, it is a gun sold in 2071 with the original marking. 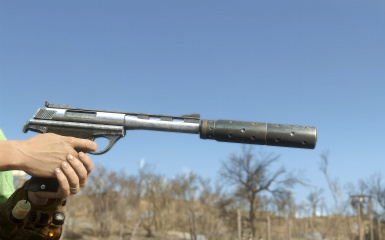 Many improvements have been added to that gun, so it will no longer malfunction. 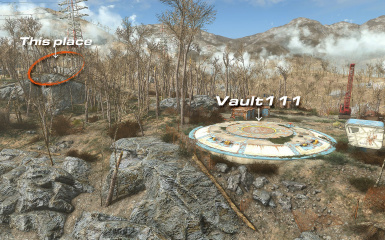 There are small chairs and tents near Vault 111. 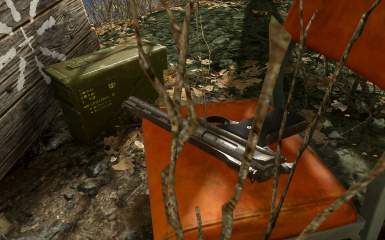 Rusted AUTOMAG is placed on the chair. Ammunition boxes contain bullets and guns. 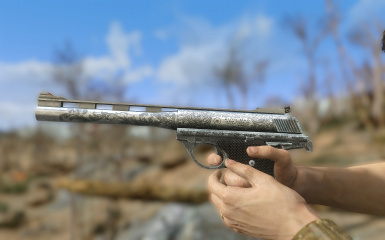 There are other unique guns, so please try looking at images with hints. This sentence was made by Google translation. Please forgive even if my grammar is wrong.